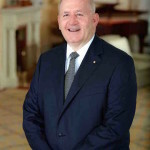 We are grateful for the support of our Patron – In – Chief, His Excellency General the Honourable Sir Peter Cosgrove AK MC (Retd), Governor General of the Commonwealth of Australia. Peter Cosgrove was born into a military family in Sydney in 1947 and graduated from the Royal Military College, Duntroon in 1968. Peter Cosgrove came to national prominence in 1999, when he was appointed commander of the international peacekeeping mission in East Timor. In 2000, he was appointed chief of the Army and in 2002, was appointed chief of the Defence Force. He retired from active service in 2005. Following this Peter Cosgrove served on the board of Qantas and the Australian Rugby Union. 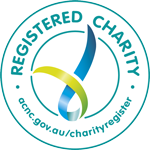 In 2006, after Cyclone Larry, he was called on to lead the taskforce to rebuild affected communities in far-north Queensland. From 2007 to 2012, he chaired the Council of the Australian War Memorial and served as Chancellor of the Australian Catholic University from 2010 until early 2014. General Sir Peter Cosgrove was named Australian of the Year in 2001. In 2014, he was appointed Australia’s 26th Governor General. His autobiography “My Story” was published in 2006. 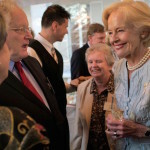 We are grateful to our former Patron, Dame Quentin Bryce AD, CVO for her continued support of our work.